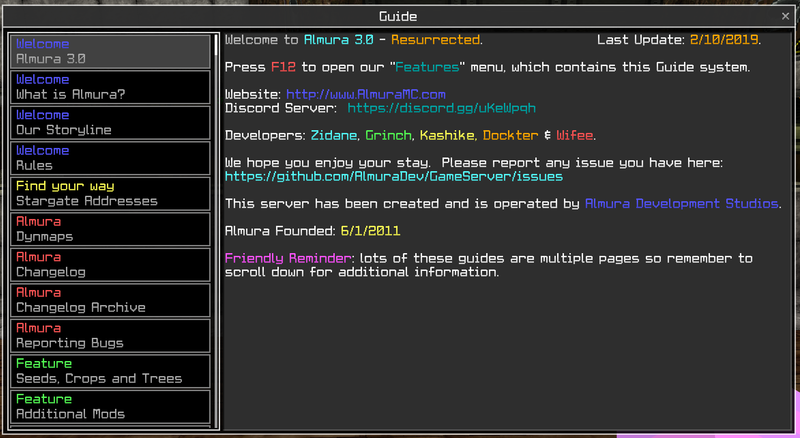 Almura 3.0 - Resurrected - Release 1 NOW OPEN! 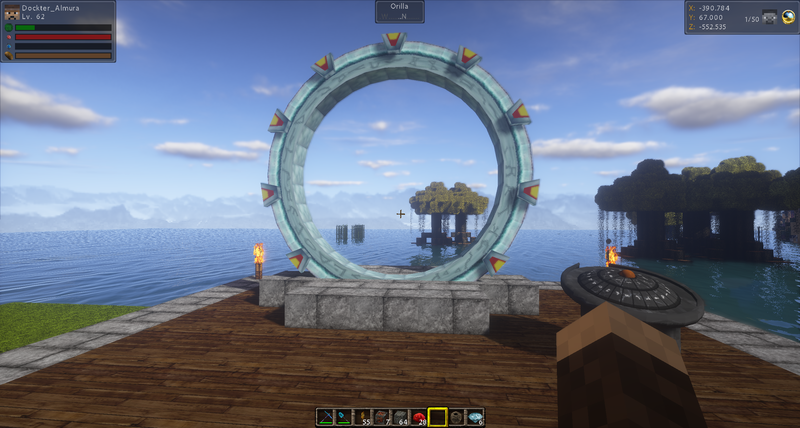 Almura 3.0 - Resurrected is a continuation in the series of the Almura storyline of Modpacks. Written exclusively for the Minecraft 1.12.2 engine we are in a long running Minecraft server environment for players of all ages. 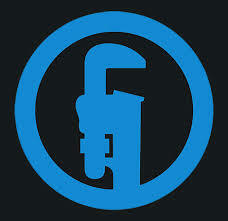 We have been a member of the community since June of 2011. Almura - What is it? Almura, what is it exactly? Over the past couple of years I have been asked, "What exactly is Almura"? Well here's a short list of things I believe makes it what it is. 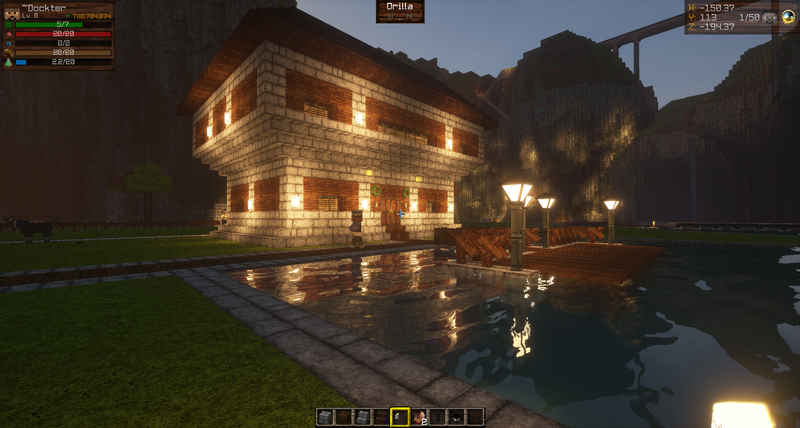 It is a new player experience that builds on the Minecraft concept with a touch of a few other games I've played throughout my life. 70 new growable, harvestable Crops such as Corn, Strawberries, Hops etc. 37 new craftable Signs for shops. 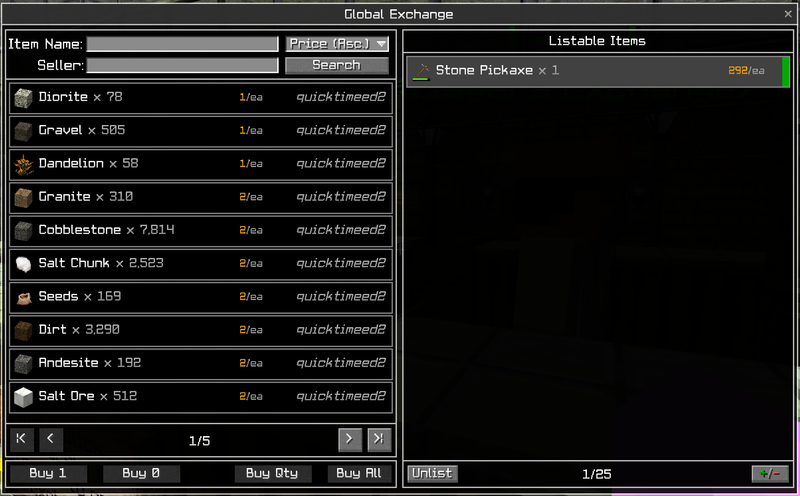 2 new world generated Ores. 150+ craftable Building items such as new wood materials, marble, asphalt etc. 350+ craftable Food & Drink items. 12 new growable Fruit Tree's. Lots of custom abilities, titles, farming logic effects etc. Our goal behind Almura was and will continue to be focused on a new player experience with a constantly changing world, with new ideas new things to craft and new area's to explore. digit01 Ahhhh what language is this? New photo from - 1.12.2-b18. 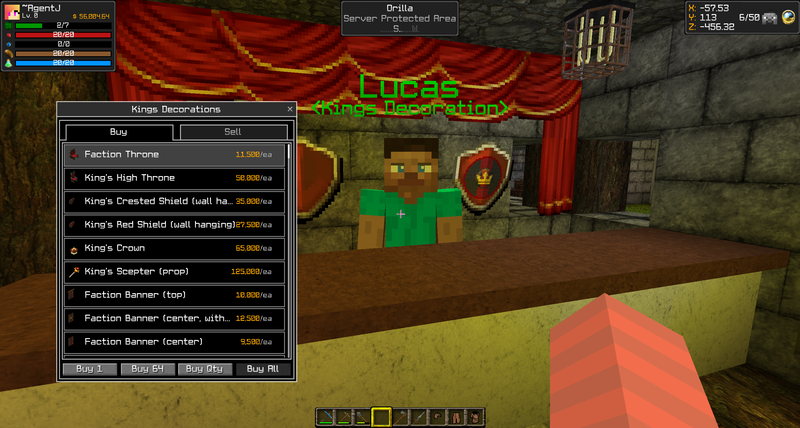 We just re-introduced a lot of our custom blocks and items. blakeroni155 those fences look awesome! i also like the new hud! keep up the good work! Here's a new picture for 12/31/2017. Those of you with a good eye will be able to see a few new features. We are still very much busy on the project. Almura 3.0 - Resurrected is be based on the story line where 5000 years have passed since Almura 2.5 - Origins came about. A world wide extinction level event (E.L.E.) has occurred and only a few from the previous civilization survived. The city shield which surrounded Asgard has completely failed and many areas of have begun to crumble and fall apart. Several areas on Asgard and within Almura Castle have been destroyed by fire, meteor showers and other unknown destructive events. It appears that a few brave souls made it into stasis chambers before the E.L.E. and have awoke to find much of the hard work that they put into Almura for years is completely gone. All of the worlds known to exist within the Almura solar system which had been home to so many for so long have been completely wiped clean, no remnants of the previous civilization can even be seen upon the landscape. Asgard, due to the collapse of the city shield lays in ruin. 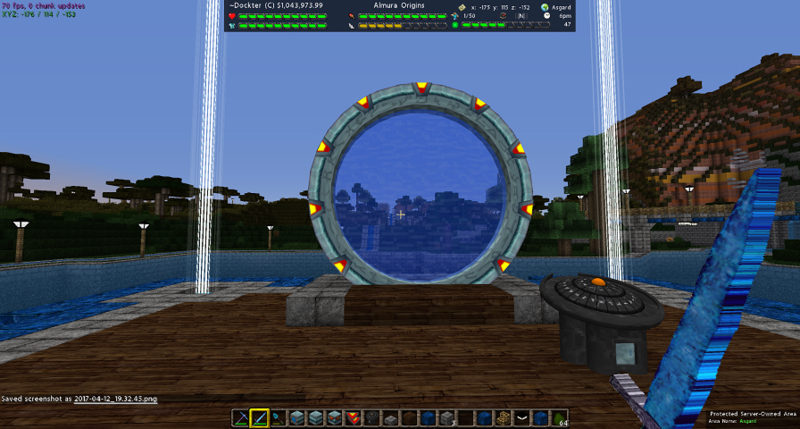 Several core power systems remain badly damaged, the stargate system is completely offline and the crystal power systems are completely dead. Dockter has been working day in and day out to try and repair the city shield generators but thus far has been unsuccessful. Wifee continues to dig for artifacts that can try and explain what has happened and why the city shield which should have protected the planet failed. 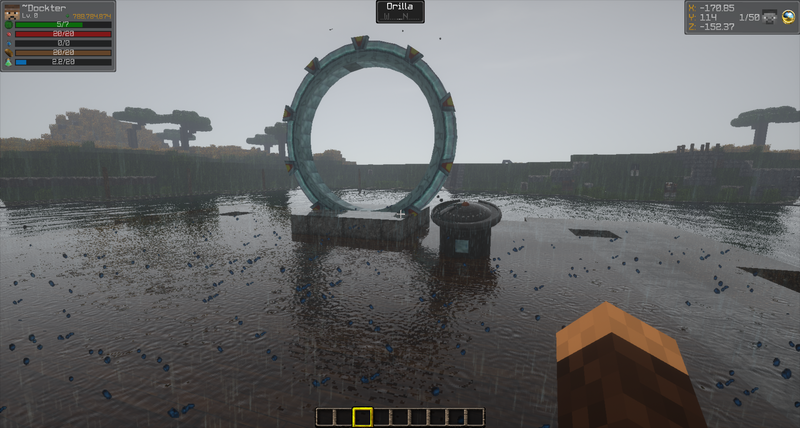 Zidane and Grinch continue to work on the power systems and the stargate network so that we can try and make contact with the previous worlds within Almura but have thus far been met with very little success. Wolfe's stasis chamber was located but its control console is damaged and we cannot revive her at this time. A new explorer managed to arrive on Asgard after a transporter malfunction from a previously unknown world which stranded a man known only as Kashike. Zidane and Grinch took him in and have been trying to bring him up to speed regarding the architectural layouts of Asgard to assist in the repairs. Kashike mentioned finding a second stasis chamber but the door is sealed and since we lack our core power systems have been unable to route enough power to that system to try and open the door. geek_kid314 Keep the good work going. starfomp A little late to the hype train but can't wait!!! Keep up the great work guys! Almura 3.0 - First Picture! digit01 I got my popcorn ready. 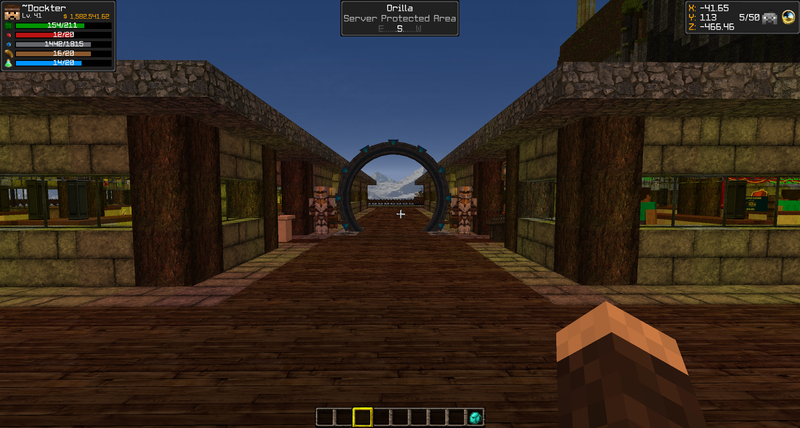 Enigma Total faith in you Dock, always interesting to see how you improve things, this server rocks!